There is something so elegant and relaxing in listening to piano music, but playing the instrument and making your own music is definitely more fulfilling. Although not all of us are found in the same league with Beethoven and Mozart, I am sure that in one way or another, we can all play the piano as well. We only need to have the passion for music and the right instrument. Unbeknownst to those who do not play a single instrument, there are many kinds of pianos available on the market. For beginners, here are five tips in choosing the right piano. 1. Get a piano that has the full key count. 88 keys. Yes, it can be overwhelming at first, but as you learn new skills, you might find that your 61-key piano is not enough. Getting a full piano also makes it easier for beginners to transition to playing intermediate-level songs and eventually to more advanced pieces. 2. Choose a piano with weighted keys. The music a piano gives off depends on the strength of the player’s fingers. Using a piano with weighted keys helps your fingers get accustomed to the right strength needed to play a specific note. Also, it takes practice to get the right technique to play like a professional. Why would you delay building your finger strength until you are an intermediate student when you can begin learning it right from the start? 3. Get a piano with a few extra features. 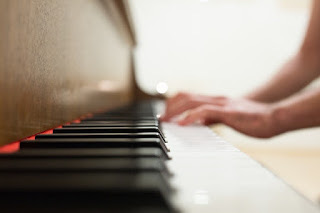 Less is more when it comes to choosing a beginner piano because before learning how to play like a pro, you have to learn and master the basics. You can do so if you are using a piano that has all the basic features that a beginner or intermediate player needs. After all, mastering the five octaves is challenging enough for a beginner. 4. Look for a piano that fits the player’s size. Size does matter and with pianos, it matters a lot. There are child-sized pianos that toddlers as young as three years old can use. It is true that children can learn how to play by using a grand piano however, you should also take into consideration the size of their fingers. As the child grows and becomes ready to play a bigger piano, he brings with him the correct techniques he has learned while using the one that is scaled to his size. As in everything, price plays a major factor in deciding which brand of piano to buy. There are a lot of affordable pianos on the market, but you should not settle for the cheapest one if it means sacrificing the quality of sound and of the item itself. Look around, ask your friends, and get recommendations from instructors about which piano can give you the best value for your money. Learning how to play the piano is one thing, but learning how to play the piano using the right instrument is another thing. Take your time in deciding which piano to get and do not buy on impulse. Make a checklist of what you want and what you do not want. It can help you decide which piano can bring you a step closer to becoming the next Mozart.